Located at the border between Uthai Thani and Nakhon Sawan province, the Country Lake is the best place of stay to explore charming tourist attractions of both provinces or for an overnight rest along the long way from Bangkok to the North with a distance of 210 kilometers from Bangkok and 180 kilometers from the Cultural World Heritage of Sukhothai. 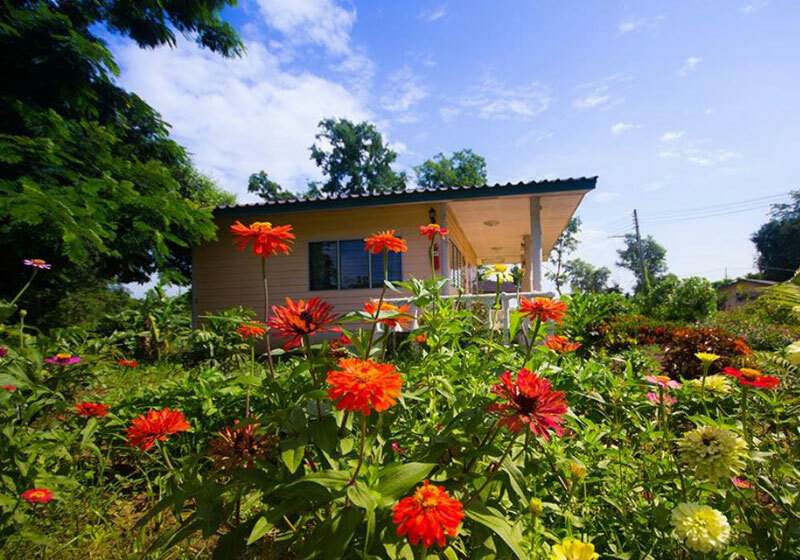 Our nature resort is a peaceful place as a part of Namsong community, where local people earn their living from banana plantation, fruit orchards, bamboo cultivation, fishery and farming. The resort is surrounded by a U-shape lake, which was once a part of the Chao Phraya River. It’s a hidden oasis with lots of big trees and gardens. Enjoy local living by bike and exploring unique attractions of the nearby Uthai Thani and Nakorn Sawan with us. Short Description: Located at the border between Uthai Thani and Nakhon Sawan province, the Country Lake is the best place of stay to explore charming tourist attractions of both provinces or for an overnight rest along the long way from Bangkok to the North with a distance of 210 kilometers from Bangkok and 180 kilometers from the Cultural World Heritage of Sukhothai.